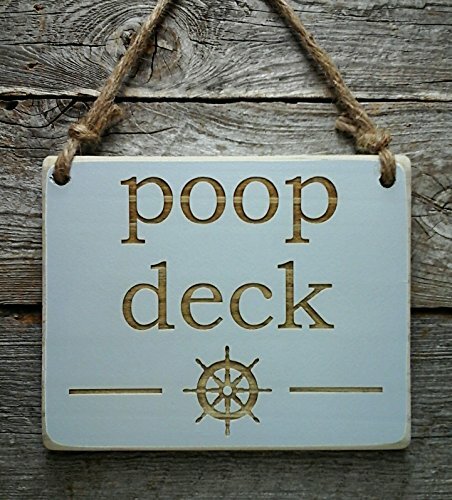 This small hanging sign is laser engraved and reads "Poop Deck". Edison Wood is a leader in high quality handcrafted signs all made in the USA. If you have any questions about this product by Edison Wood, contact us by completing and submitting the form below. If you are looking for a specif part number, please include it with your message.